Nokia has toyed a lot with digital payments, but it seems to move in fits and starts, rather than with a continuous goal. 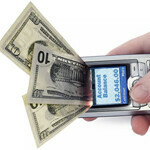 Almost three years ago they introduced Nokia Money, a digital payment system powered by Obopay. Rather than a cutting-edge smartphone implementation, it was designed for use in developing countries, with Nokia’s feature phones supporting rural consumers that didn’t have access to the usual banking and credit accoutrements we take for granted in the U.S. While the service rolled out to local markets in 2010, it ran into problems in China, and otherwise didn’t see the widespread adoption that perhaps Nokia would have hoped. The service was launched in India three months ago, but now Nokia CEO Steven Elop is pulling the plug, stating that digital payments aren’t part of the company’s “core strategy”. While mobile payments aren’t yet a huge business, all the big players are getting into digital wallet technology; that makes it somewhat difficult to understand why Nokia would by exiting the field just as it seems to be heating up. Most likely it has to do with the historical driver of Nokia Money – the feature was designed to work with feature phones and Symbian devices. Nokia has thrown its lot in with Windows Phone, so presumably any future digital payment system would have to be developed for that platform. And in all likelihood Microsoft wants to be the company who develops that keystone for its ecosystem. So really, Nokia Money was probably doomed the day that Elop wrote his burning platform memo. The final death throes just didn’t finish until this week. Seems like Nokia had a tremendous quarter.. LOL! "we take for granted in the U.S. "- Show Off!